David Dearman Autoplex is a family owned and operated used car dealer in Gulfport, MS. For more than 40 years now, we have been providing quality used cars at affordable prices. We OWN a rental company (U-Save Car & Truck Rental and a finance company (Southern Auto Credit). So whether you need a rental car to go on vacation or need a second chance at financing or have selected to shop with us due to our competitive prices on a low mileage used car, we value you a customer and will work hard to EARN YOUR BUSINESS. We buy our cars nationwide from various leasing agencies, new car franchises, and other various auctions. We inspect our used cars thoroughly and service them accordingly. When we offer our used cars for sale, they are highway ready end typically will still have factory warranty's. We also sell extended warranties through two different 5 star nationwide warranty companies. We price our cars extremely competitively due to our low overhead and overall scale of our business. We reduce our cost on a used car by renting it out a few times. This allows us to UNDERSELL ANYONE ON THE GULF COAST!. We also own a state of the art reconditioning facility in Hattiesburg, MS so our used cars, trucks & SUVs are TOP NOTCH!! If you have bad credit, no credit, good credit, etc.., we can help you re-establish yourself with our finance company, Southern Auto Credit. We report to the credit bureau and have a full time underwriter in house to match your stability, income and ability to pay with a used car, truck or SUV that fits your needs and wants. We don't "put" you in a car we allow you to PICK a car and we work hard to make it happen for you. We don't want to put you in a bad situation or in a Car that won't last as long as your car. David Dearman & Family have worked hard for the last 40 years to build a reputation of INTEGRITY and we plan to continue to operate our business in an honest fashion. We are here to HELP you get re-established, not put you in a situation that will cause a repossession. In other words, the deal HAS TO MAKE SENSE for us and for you. Give Jeff Williams a call 228-343-8159 for more information or to get pre-qualified! 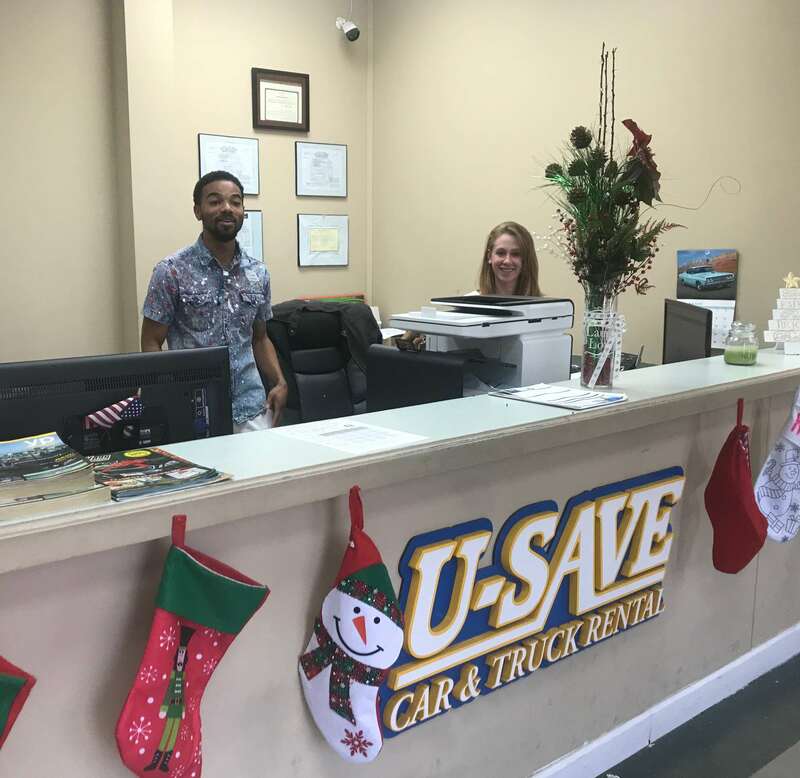 U-Save Car & Truck Rental is a FULL SERVICE RENTAL CAR AGENCY IN GULFPORT MISSISSIPPI. We always carry a nice selection of late model, low mileage cars, trucks & suvs. We ACCEPT ALL FORMS OF PAYMENT FOR RENTAL VEHICLES. We also have the largest fleet of 12 and 15 passenger vans for rent in the state of Mississippi! Visit our "Rental" tab belie on our website or call 228-897-6006 to make your rental reservation today. We accept Cash, All Major Credit Cards, Ship Nationwide and have several Financing Options available. We work variety of lenders to get you the best rate and terms available. Feel free to browse our virtual inventory. All the doors are unlocked so take a look inside...if something catches your eye give our internet department a call or get started with our online credit application. Thank you for visiting our website and we look forward to EARNING your business and a friendship for a lifetime.